With a goal of kicking off the New Year right, Dogfish Head founder and CEO Sam Calagione set out on a beer-centric quest known as JanuQuenchy. In addition to challenging himself to live a more active and balanced lifestyle throughout the month of January, he also invited Dogfish enthusiasts and co-workers to join him, pledging to only drink our low-calorie SeaQuench Ale for 31 days while eating sensibly and doing something active. Objectively the most thirst-quenching beer we’ve ever made here at Dogfish, SeaQuench Ale clocks in at just 4.9% ABV, and only 140 calories, 9g carbs, 2g protein and zero fat. Brewed with lime juice, sea salt and black limes, it’s the best selling beer in the fastest growing craft beer style (sours) in America thanks to its super flavorful and approachable profile, and a perfect fit for a month-long quest of living a more balanced life. To commemorate the finale of JanuQuenchy 2019, we’ve partnered with New Balance - a fitness apparel company - to create a co-branded athletic-style trucker hat and a breathable, mesh-lined jacket with a SeaQuench Ale focus. 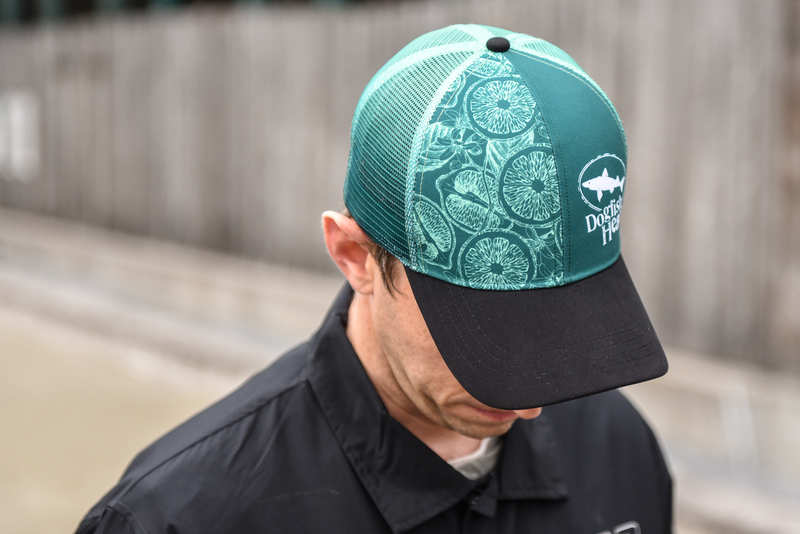 Featuring SeaQuench Ale ingredients dye sublimated on one panel, the hat is also adorned with our classic Dogfish Head logo on the opposite, and is crafted with a performance woven front material and a wicking internal sweatband. Both pieces are now available for purchase on dogfish.com/shop! In addition to online sales, we’ll also be hosting a ‘pop-up shop’ this weekend - Feb. 1 & 2 - at our booth at the BeerAdvocate Extreme Beer Fest in Boston, Mass. Festival attendees can stop by the booth, enjoy a sample of SeaQuench Ale and purchase the hat and jacket, and just maybe high-five Sam along the way! 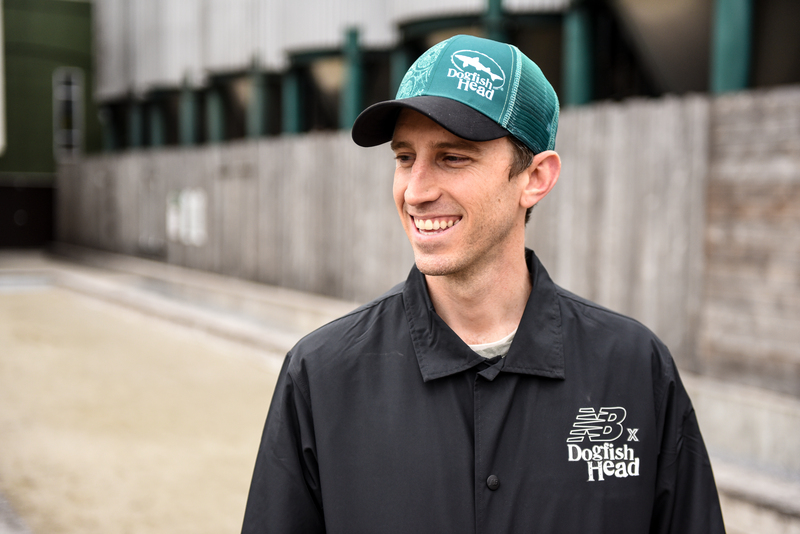 To purchase one of these limited edition SeaQuench Ale-themed hats and / or jackets, pop on over to dogfish.com/shop!